You’re the kind of person who’s in the right place at the right time. Look at yourself. You’re a nurse when it’s a great time to be a nurse. Plus, you’re obviously thinking about your future (You’re reading this article, right?). 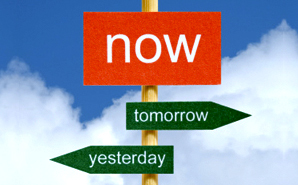 You want to know where you need to be in 2013 in order to make the most money –– and be in the most demand. I’ve pulled together the numbers to help you plan your next steps (and determine where your competition lies). These stats from the Bureau of Labor Statistics (BLS) may surprise you with some interesting projections. If you love med-surg, get ready for some good news. According to the BLS, nurses can expect to find a variety of employment opportunities in privately owned, general medical surgical hospitals. This includes physician’s offices, local medical surgical hospitals, home health care agencies and nursing care homes. Job seeking nurses may also want to consider government agencies, nursing education and administrative roles in hospitals and insurance companies. Although it may not seem like it sometimes, nursing is among the higher paid professions. In May 2010, the average annual median salary for nurses was $64,690 per year (the top 10 percent earned more than $95,130). So how will your salary stack up in the near distant future? Nurses in private medical surgical hospitals can expect to earn $66,650 per year. Those who work in doctor’s offices, local medical surgical hospitals and home health agencies can all expect a salary just above $60,000. Although anecdotal evidence in the nursing community doesn’t necessarily point to a nursing shortage, statistics show that growth for the nursing profession is expected to increase exponentially by the year 2020. In fact, growth is projected to increase by 26 percent, while all other professions are only expected to grow by 14 percent. That isn’t to say that some venues aren’t more competitive than others. Hospital nursing is a good place to find a job due to the relatively high turnover of nurses and the progressive aging of retirement-eligible nurses. The competition is expected to be much higher for positions in doctor’s offices and outpatient care centers as well due to the family-friendly shifts and relatively lower patient care demands. Should You Beef Up Your Credentials? The demand for nurses with at least a BSN is expected to rise in the US. Additionally, all advanced practice registered nurses, such as certified registered nurse practitioners, nurse midwives and nurse anesthetists are expected to be in higher demand. If you’re looking for the hot jobs in this profession, you would do well to advance your education as far as possible. Bureau of Labor Statistics, U.S. Department of Labor, Occupational Outlook Handbook, 2012-13 Edition, Registered Nurses.